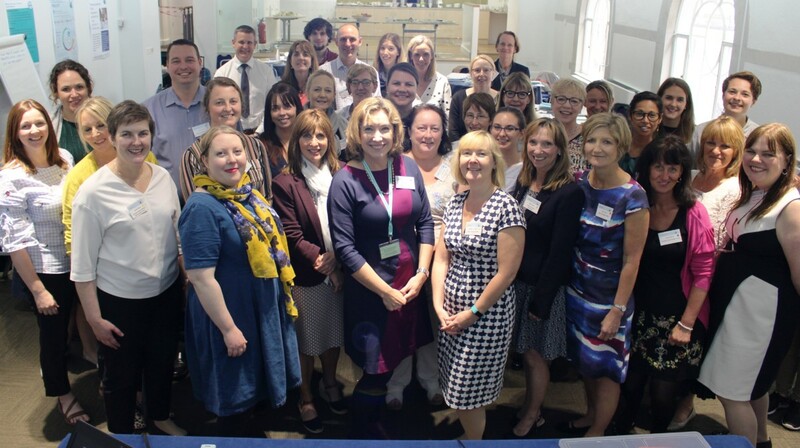 Colleagues from across the Academic Health Science Networks (AHSNs), NHS England and NHS Improvement gathered in London in May for the Getting Ready for PReCePT event, as the project to prevent cerebral palsy in preterm babies that started in the West of England begins its national rollout. PReCePT is one of seven programmes developed regionally that has been selected for national adoption and spread across the AHSN Network during 2018-2020. The project was initially developed by the West of England AHSN in collaboration with University Hospitals Bristol NHS Foundation Trust, and involved both patients and staff. PReCePT has so far prevented around seven cases of cerebral palsy in the West through the administration of magnesium sulphate to mothers during preterm labour. This represents potential lifetime healthcare savings in the region of £5 million – and substantially more when including loss of productivity and social care costs over a lifetime. The national roll-out brings together the 15 AHSNs and the aligned drivers of the Maternal and Neonatal Health Safety Collaborative (MNHSC) and the national Patient Safety Collaboratives (PSCs) to support the aim of achieving 85% uptake of administration of magnesium sulphate to preterm babies in all maternity units in England, with a stretch target of 95% by 2020. Attendees at the event heard from Karen Luyt, Consulant Senior Lecturer in Neonatal Medicine (University Hospitals Bristol NHS Foundation Trust and the University of Bristol) who presented the case for magnesium sulphate to help prevent cerebral palsy in preterm babies. Watch the video of her presentation. Kate Cheema, Head of the Patient Safety Measurement Unit at NHS England, talked about the importance of data and measurement as a vital part of PReCePT. Watch the video here. And delegates were provided with a detailed and insightful ‘insiders guide’ to implementing PReCePT from quality improvement lead Nathalie Delaney, midwife lead Hannah Bailey, and obstetrician lead Emma Treloar. Watch the video here. Most importantly, the event was an opportunity for AHSN teams from around the country to get together, share ideas and ask questions so that collectively we can implement PReCePT in maternity units throughout England as quickly and effectively as possible. To find out more about PReCePT and to download the full toolkit visit www.ahsnnetwork.com/precept/.